icarusFPV.com - Farther. Faster. Higher. Here’s the lowdown on installing OpenTX 2.2.0 to your FrySky Taranis X9D Plus, this being just the OS, this should also work for other transmitters using OpenTX. 1) Download 2.2.0 OpenTX Companion. 3) Update Profile Info. Open your profile and check LUA and LUAC under the profile and save. 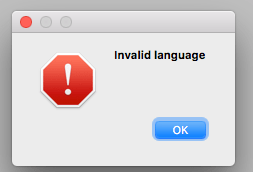 This also solves the issue on “Invalid Language” Error. 4) Click on “Download Firmware and voice files”. 5) Write firmware to radio. 6) Read Models and Settings from Radio, you will be prompted with an error “eeprom old format” or something.. this only means that the model file format in the transmitter is still 2.1.9. Simply replace this file in the radio by “Write Models and Settings to Radio”. 7) Backup or save the radio and model profile found in your SDCARD to your PC as well as we will delete the taranis’ SDCARD contents in the next step. What I is go to the SDCARD and copy all the contents from there to the PC. 9) Transfer your saved radio profiles saved in #7 above, unplug the radio and test. Good Luck! 1.) Remove Unnecessary sound files. Clean up /SDCARD/SOUNDS in your attached SDCARD (and SDCARD sync folder in your PC by removing folders of languages you dont need. 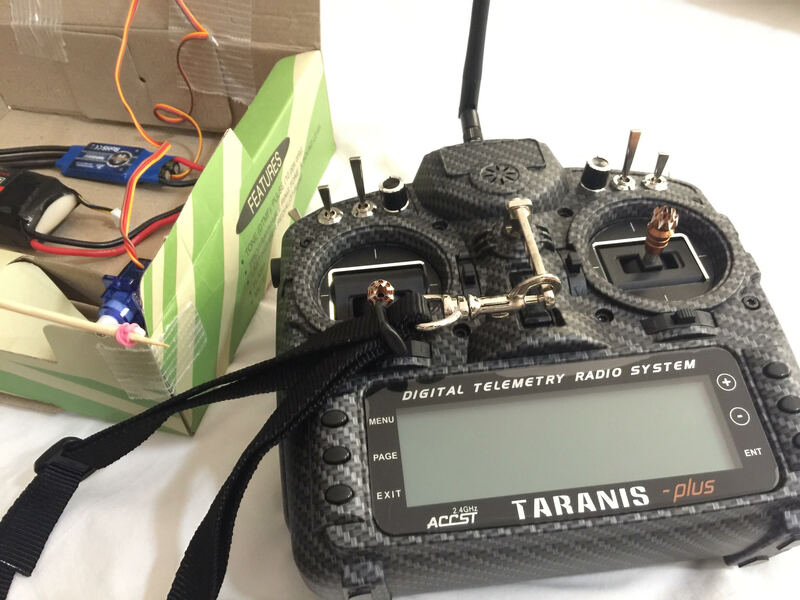 The Frysky Taranis X9D Plus SE from GetFPV.com is finally in my hands =) Having used a Spektrum DX6i for the past 5 years, the transmitter hardware (16 channels!) and OpenTX seems like light years away in features. a) Future proof by having a transmitter that can handle > 6 channels. b) Basic Telemetry even for fun flying aircraft. c) Longer range with stock equipment < 3km range without using LRS. Range Test Kit with a Flag! 1) Stock 2db antenna – at 80 paces (approx 200ft) the receiver reported an RSSI range between 30 to 35 (the variation depends on the position of the transmitter antenna relative to the receiver). At 90 paces (approx. 225ft) the RSSI is 10-15. At this point I can see the tiny orange flag jerking as the receiver receives sporadic data from the transmitter. 2) 5db Frysky Antenna from HobbyKing – went up to 100 paces (or approximately 250ft) before getting a “critical” warning. The Taranis is registering 30-35 RSSI at this distance. At 110 paces (275ft) I got a 10-15 RSSI reading. Conclusion: with low powered range testing a 5db antenna does give at least 20% more “range”. However, as expected the 5db does suffer from a narrower beam. 8) 3M Double-sided tape to stick the aluminium pan to the case. These are the steps I use to rapidly discharge my broken LiPOs and prepare them for safe disposal. If you are reading this bear in mind that discharging and charging lipos is always risky and require that these be done in a safe place, preferably outdoors with no combustible material nearby. Lipos are not known to explode but they can generate a lot of heat, smoke and yes sometimes a bit of fire. So place the lipos in a non flammable material like a lipo sack, metal box or, in my case, on top of some ceramic or rock. There are two common ways to skin this cat: a) Use a discharger exclusively or b) Use a discharger and some bulbs. If you want to use the discharger exclusively go to step 1 and jump to step 3. I like the combination since it allows me to discharge different sized batteries at the same time. 1) First bring down total battery voltage to 3v (or less) per cell using a discharger. This assumes you have a 12v halogen bulb which will be used to do most of the discharging. On the other hand, if you will be using a discharger exclusively set the discharge rate at 1C of your LiPO and discharge to the lowest voltage then jump to step 3. 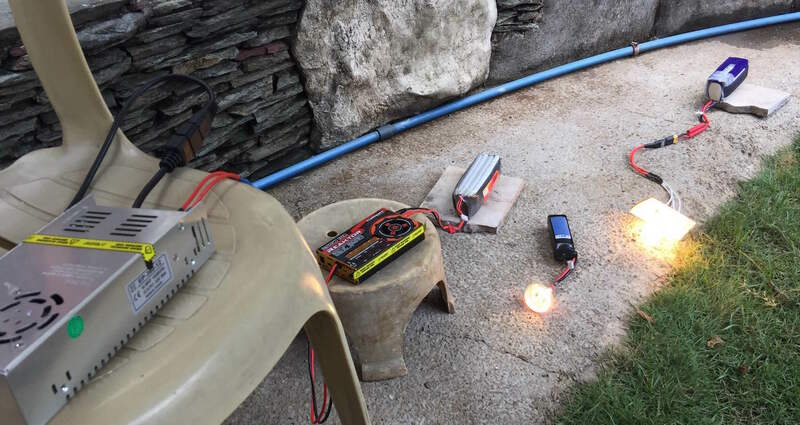 2) Rapid Discharge with a target of 3-4V for the entire pack using halogen bulbs. I use Two (2) 12v 50watt halogen lamps in parallel as the primary and rapid discharger. The pair generates 8.3A of pull. Obviously for 5S and above the bulbs needs to be placed in series (with optional parallel) to accommodate the high voltage. 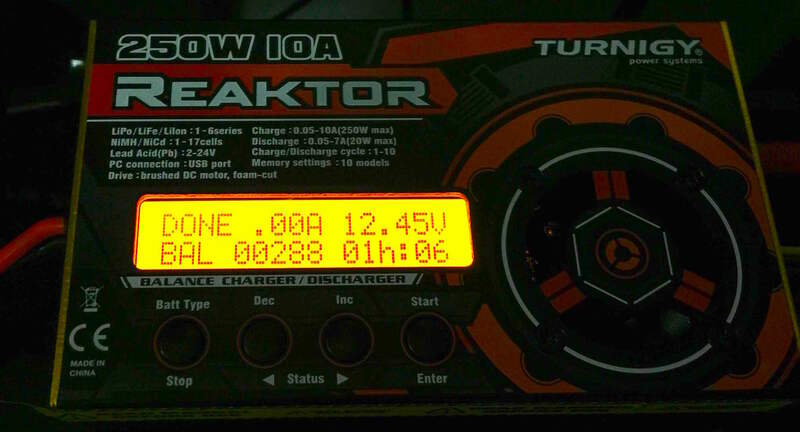 The 8.3A rate brings a 4S with 12v charge to 3-4v in about 30minutes. Once the bulbs show no light whatsoever, let it stay that way for at least 5 minutes before removing the pack. The halogen lamps are very hot so be careful. High discharge rate will almost always result in a puffed pack. Note that because of the high discharge rate and below minimum voltage this process induces on the lipos, they will almost always puff. 3) Drip Discharge on last Vs. After reaching use a charger to discharge at a lower amp. Set the charger to use NiCd (LiPo has a min termination voltage of 3V so it won’t do) and set to DISCHARGE at 1A without attaching the balancing cable. 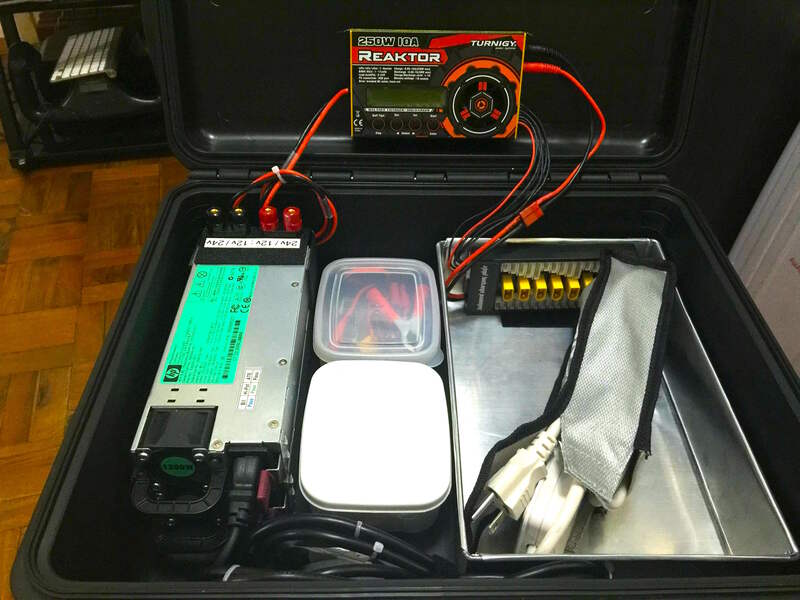 Set the target voltage to the minimum allowed by the charger, in the case of the Turnigy Reaktor its 0.10V. Discharge. 4) Set the second cycle using the charger to half an Amp (0.5A). This will be quick. And will bring the voltage to around 2V after a 3-5 minute pack rest. 5) 3rd cycle we use 0.2A discharge rate. This will take a few minutes and bring the voltage to about 1.5v. Once done make the pack rest for 3-5 minutes. 6) 4th onwards cycle set the discharger to 0.10A (the lowest setting) and discharge. This will take some time (8-10minutes) and is designed to really squeeze most of the remaining juice out of the pack. Let the pack rest for 5 minutes. After rest, it will bounce back to about 1.5v-2v. Do this same same (step #6) 3 to 5 more times making sure to make the pack rest for 5 minutes per discharge. Each cycle will be quicker than the previous one as the chemicals in the pack loses its capacity to regenerate charge. 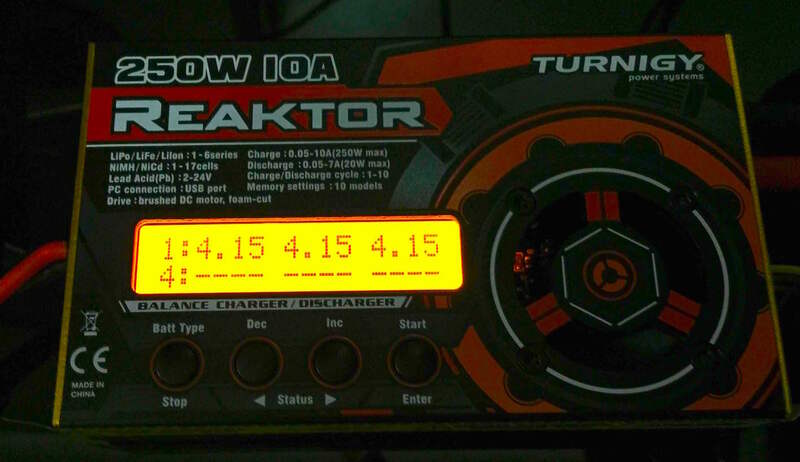 7) Repeat until 1.5V is reached. After at least 3 cycles of step #6 the packs will have a voltage of about 1.5v. Wait for 15minutes and verify that the voltage is steady at 1.5v. If the pack goes beyond this after this longer rest period, discharge it using step #6 a couple of times. Cut leads prior to being shorted. 8) Cut off charging lead. At 1.5v the battery is basically dead but still has residual charge. You can reuse the red and black charging wires and plugs by cutting off the wires leaving just enough to short the battery. In my case I also cut off the balancer wire. After cutting the charging wires, use a pair of long nose pliers to expose a bit of both wires and twist them together to short the battery. 9) Safe store for a day. Tape the exposed lead and balancer wires and place in a secure place with no flammable material. It will take 2-12 hours for the residual charge to finally zero out depending on the battery’s capacity. In my experience a 3S 2200mah charge was completely depleted after 3 hours, a 4S 5000mah about 6 hours, leaving me with just inert material. This means I get to throw these tomorrow with the rest of the trash. The Magnificent 7. Goodbye amigos! Thanks for the fun and memories! Here’s my personal experience in discharging a LiPo pack. I found this how-to scattered all over the inter-webs but the main source (Thunder Power?) seems to be lost forever. At any rate, I’m cross-posting it here for posterity. Unlike NiCd batteries, lithium-polymer batteries are environmentally friendly. For safety reasons, it’s best that LiPo cells be fully discharged before disposal (however, if physically damaged it is NOT recommended to discharge LiPo cells before disposal – see below for details). The batteries must also be cool before proceeding with disposal instructions. 1. 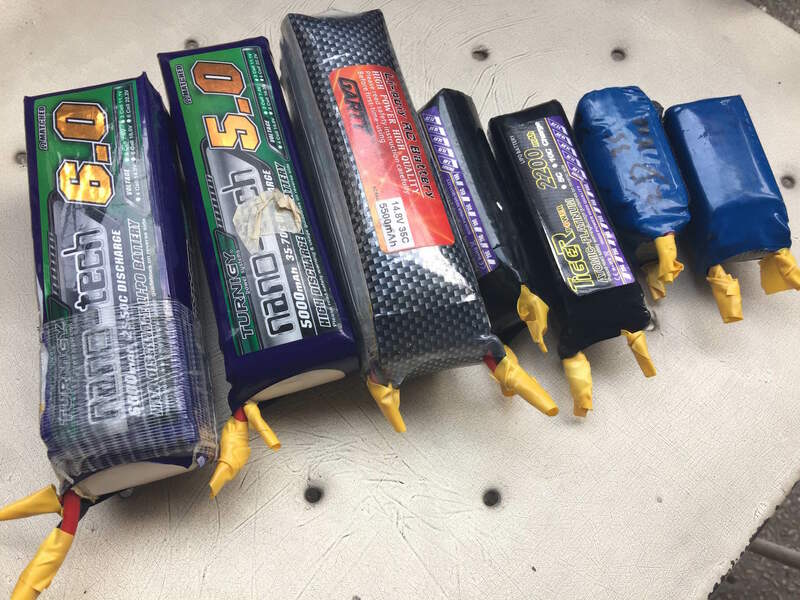 If any LiPo cell in the pack has been physically damaged, resulting in a swollen cell or a split or tear in a cell’s foil covering, DO NOT DISCHARGE the battery. 2. 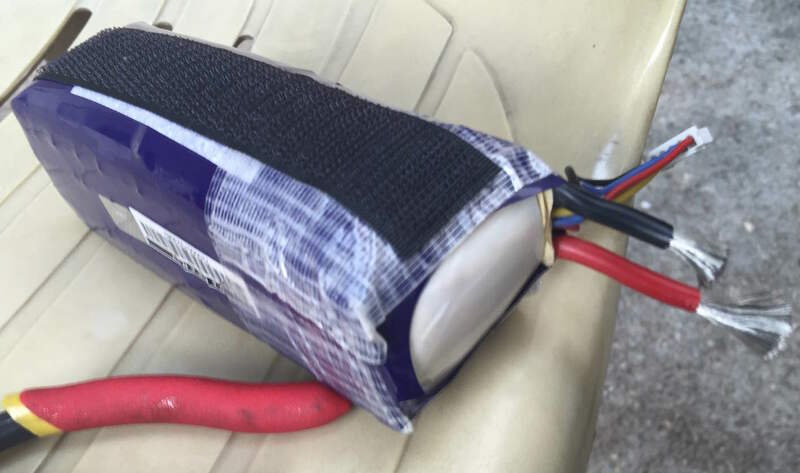 Place the LiPo battery in a fireproof container or bucket of sand. 3. Connect the battery to a LiPo discharger. Set the discharge cutoff voltage to the lowest possible value. Set the discharge current to a C/10 value, with “C” being the capacity rating of the pack. For example, the “1C” rating for a 1200mAh battery is 1.2A, and that battery’s C/10 current value is (1.2A / 10) can be used, such as a power resistor or set of light bulbs as long as the discharge current doesn’t exceed the C/10 value and cause an overheating condition. For LiPo packs rated at 7.4V and 11.1V , connect a 150 ohm resistor with a power rating of 2 watts (commonly found at Radio Shack)to the pack’s positive and negative terminals to safely discharge connecting it to an ESC/ motor system and allowing the motor to run indefinitely until no power remains to further cause the system to function. My first attempt at discharging was using a Turnigy Reaktor 250W, I used NicaD setting instead of Lithium so I can set the minimum discharge voltage to 0v. My first test was a 3S 2200 which I discharged at 1A with a preliminary target of 6v. After 20minutes the LiPo warmed up and puffed more (it’s already puffed to begin with and has 250-300 internal resistance across the cells) creating a small tear in the packaging. So yes, there’s a reason why the suggested discharge current is 10% of the effective C (i.e. I should have discharged it at 0.20-0.25A). 4. Discharge the battery until its voltage reaches 1.0V per cell or lower. For resistive load type discharges, discharge the battery for up to 24 hours. 5. Submerse the battery into bucket or tub of salt water. This container should have a lid, but it should not need to be air-tight. Prepare a plastic container (do not use metal) of cold water. And mix in 1/2 cup of salt per gallon of water. Drop the battery into the salt water. Allow the battery to remain in the tub of salt water for at least 2 weeks. 6. 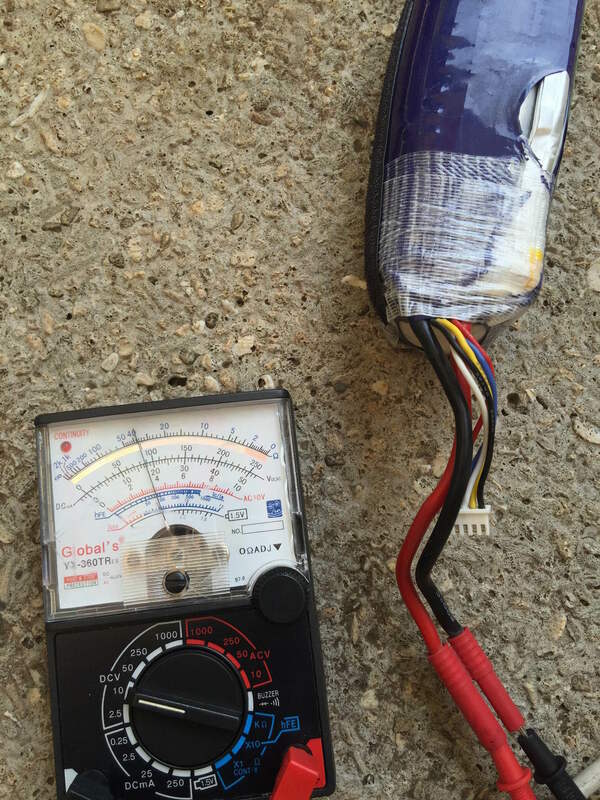 Remove the LiPo battery from the salt water, wrap it in newspaper or paper towels and place it in the normal trash. They are landfill safe. 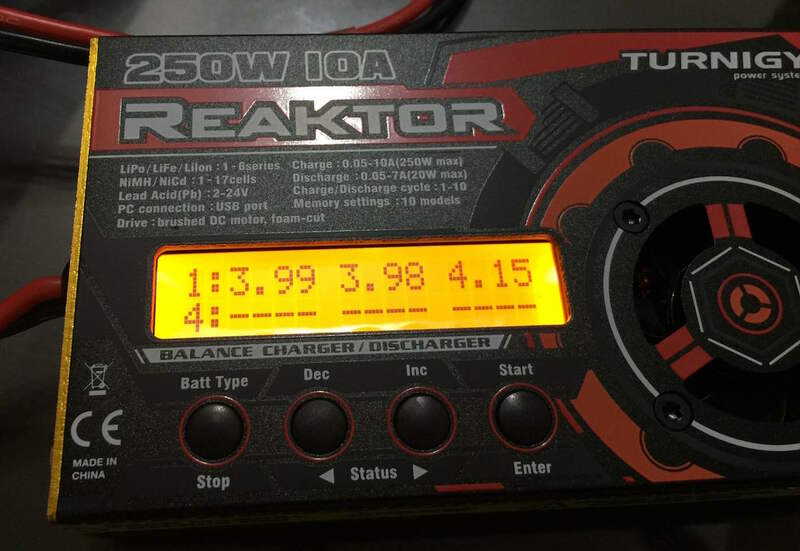 The Turnigy Reaktor 250W 10A Charger Balancer is a real winner.. it was able to save a good lipo from the bin (see: reaktor did a lazarus). 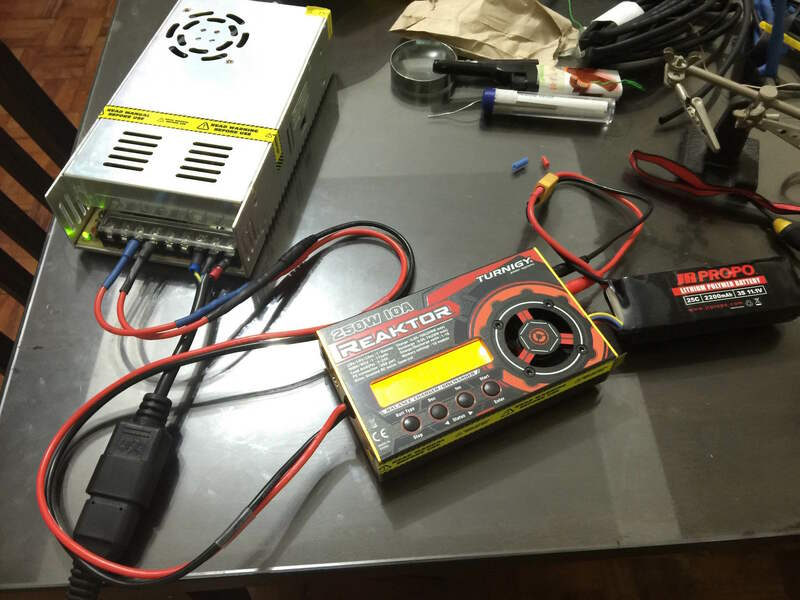 Do not charge each LiPO cell to the max of 4.2v, charge instead at 4.1v or 4.15v. This will make the lipos last longer — as much as twice the cycles/lifespan. 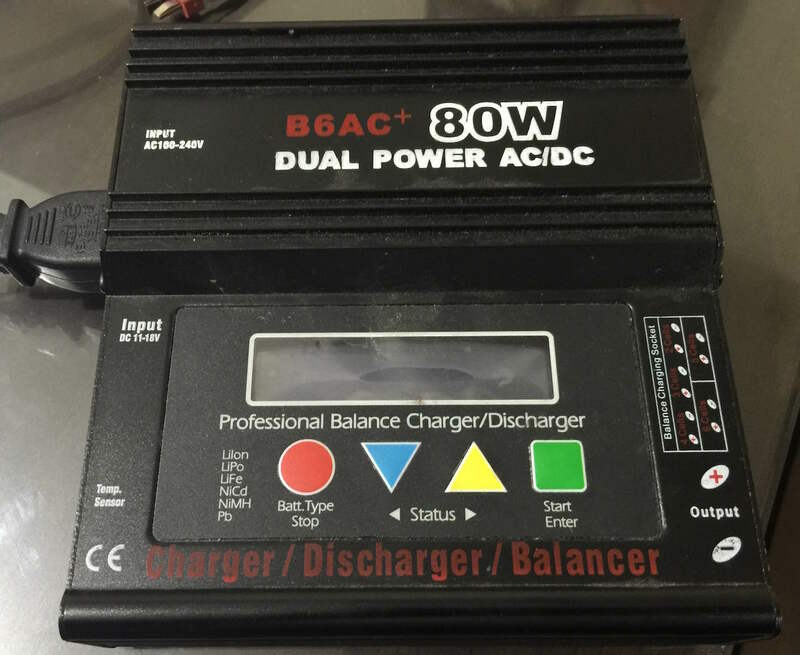 I’ve had this generic B6AC+ 80watt AC/DC charger for a little over 3 years now, my first one in fact and its seems to work ok, but I noticed that a big percentage of my lipos are puffing up. At first I attributed this to my usage, but with mainly planes used for FPV and not being an aggressive flyer at all, I found this strange. Fast forward recently and with about 25 Lipos of varying cell counts and capacities, half of them have puffed, somethings not right! 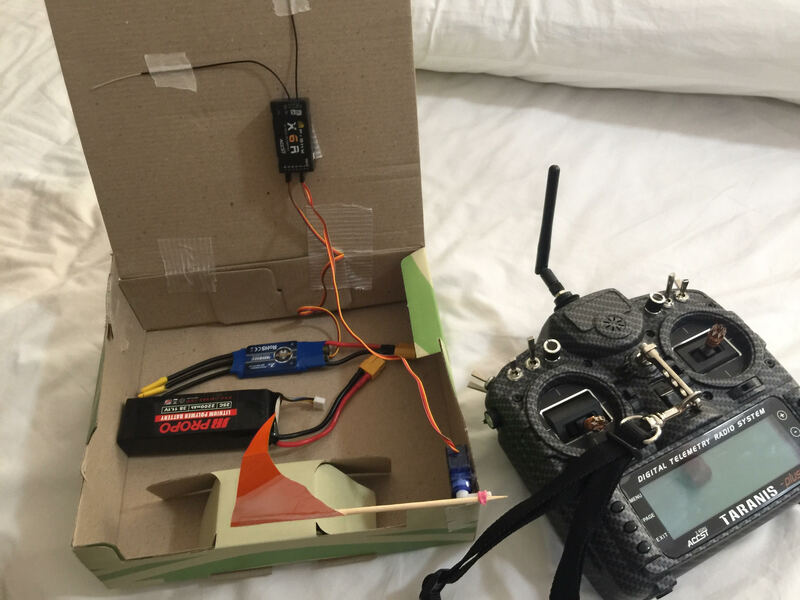 I can’t be the most stupid RC flyer out there! What really convinced me was when I bought a 3S 2200mah JRPropo battery. After a couple of cycles, the 3rd cell is always 10% higher in charge and often exceeds 4.2v when trying to charge. No matter how often I discharge and how long I charge it (balanced of course), the first 2 cells can not get the 4.2v full charge. Checking the battery with a fellow flyer’s Powerlab 8 v2 showed that the 3rd cell has twice the resistance as the first 2, however unlike my charger the cellpro is trickling charge into the first 2 cells attempting to catch up with the 3rd. I didn’t complete it though as I had to leave the field. So the verdict? this small charger did a lazarus on my LiPO above! after setting the termination voltage at 4.15v (I can’t do this with my old charger). I proceeded to do balanced charging. The image below shows the charging several minutes after I started. This shows cells 1 and 2 catching up to cell 3, which was pared down to 4.15 (it was registering 4.21v at the beginning) by the charger and maintained at that charge all throughout the charging cycle. An hour later, I got fully balanced battery charged at 4.15v each cell! I’m beginning to really like this charger.. here’s the balanced cells. So if you’re thinking of getting a 2-6s charger, this small charger is very capable. Full-featured, adequate power to handle high C charging and best of all, cheap! A weekend flight in Nasugbu while on vacation. Batangas has nice coves and beaches and only 2.5 hours from Manila via Cavitex. I’ve always wanted to fly FPV or otherwise, in Mt. Pinatubo. It finally happened last week. Unfortunately, my FPV gear remains languishing in a corner, unassembled for a year now (my main beef is the interference of the 800tvl camera on the vTX and never got to do anything about it — too busy with a new baby I guess). So as with all my flying this year, I had to be happy using my good friend the Hitec Skyscout and a Xiaomi Yi camera for the vid. The Mt. Pinatubo caldera looks even better than I ever imagined, FPV would have been really cool with incredible footage of the crater walls and aquamarine lake water. Flying LOS and manual in the crater is a bit challenging mainly due to the unpredictable wind directions and gusts brought about by the surrounding crater walls. I had enough adrenaline and chocolates in my system that I didnt even eat lunch! The Philippines has hundreds of beautiful and easily accessible islands. Coron is definitely in the top 5 must visits destinations here. Got a chance to visit Coron mid year sans FPV rig..brought the good ‘ole Hitec Skyscout and did a couple of flights. Another flight over another small island that ended in another almost EOL for the Skyscout!